The Citi Mobile App for iPhone has been redesigned to provide even faster performance with a fresh design and smart shortcuts to better access the features you use most. You can now easily share expenses with friends and family with the split feature on Zelle®. Latest update is not showing all my transactions since last statement. I have been using my double cash card exclusively for all my purchases. I pay off individual purchases as I go to use like cash, but this way get cash back. This makes for a lot of transactions since my last statement. There are some purchases that are auto pay monthly bills I don’t pay until the statement is issued. Many of my transactions are no longer showing in the app so I am unable to keep tabs on the balance due to ensure it’s only the charges I’m waiting to pay when the statement comes out. It only goes back to a certain date or possibly can only show a certain number of transactions as others keep “disappearing”. Contacted customer support and they had me delete and reinstall the app. Did that and had to sign back up and set up Touch ID for my iPhone 7. Quite a pain and didn’t fix it at all. They said it’s because the screen is too small? What?! It scrolls through a huge list, so that makes no sense at all. They tell me to call specialist technical support. That person tells me to log out and back in. Does nothing. They tell me give them 24 hours Io fix. Have I heard back? No! Has the issue been fixed? No! App is completely useless to me if it doesn’t show all my transactions since last statement so I can reconcile to the balance owing!! They even advise me to use the web page. Um, then why do you guys even have an app?? Very frustrated!! The reason I say slow is because I paid my phone bill and I still don’t see it reflected on my balance. 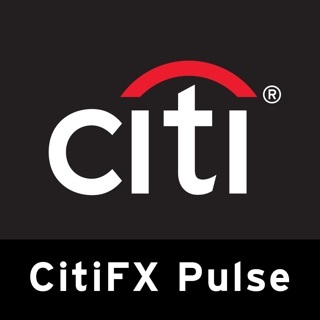 When I was opening the account the banker told me that Citi is going more digital! Really? Then you should start with how fast your transactions show & the app is so limiting! If you don’t keep an accurate checkbook of your own I see now why Citi is so quick with the overdraft fees! They took the money right from my account but a day later I still can’t see the payment pending or even reflected in my balance. The text banking is a joke! I like 2 checking. In fact that’s the only reason why I switched in the first place is because BoA got rid of their electronic banking & I like 2 checking. At Citi they all want you to have a savings; but that doesn’t work for me! Plus I like the freedom with the checking! But don’t tell people your going “more” digital if your stuff is SO slow! Citi needs to hire BoA’s online people!! I’m hoping I don’t regret the switch! I’ve only been with Citi not even a week & am already feed up! It’s ridiculous!! So I got a message that my bill was due on the 10th and I was at work at the time and I thought that’s weird? why would I have a bill due if my credit card is at a zero balance and I haven’t used it in a long time? so I got busy at work and forgot about it. So it’s 2:20 am I was watching TV almost falling asleep and I remembered I have to look at my Citibank account and see what’s going on....when I logged on to my account it said I had a $500 charge on it!!! made on 8/24!!! I was panicking I couldn’t think straight I asked my son who just got home from being out with his girlfriend to come helping me!!! we finally got through and I’m sorry but in my moment of panicking I totally forgot the name of the guy who helped me .....that citi bank customer rep was so friendly and so nice!! he calmed me down assured me everything will be taken care of... So that loser In Missouri get a job get your own credit card you THIEF!!! I went and blocked/locked all my cards!!! 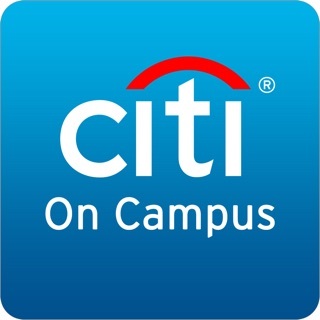 THANK YOU CITI BANK & REP YOUR THE BEST! !